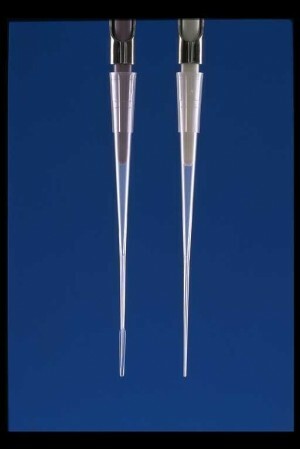 Non-wettable Zero-Fluid-Retention pipette tips with beveled-ends assure accuracy and reproducibility. AeroGard™ barriers block aerosols by coalescing radio-active, chemical, or biological contaminants before they can come in contact with pipettor shafts. Effectively eliminates unwanted signals induced by residual RNA/DNA. Also acts as a safety barrier against accidental over-pipetting of liquid without risk of sample lock-up. AeroGard™/UniFit™ tips are specifically designed for use with Pipetman®, Eppendorf, and other research-grade pipettors. Applications include any discrete sampling procedure requiring an aerosol-free system for transferring volatile or hazardous samples. Sterilized options are vacuum-sealed and radiation sterilized. Universal-fitting MicroFlex™ microcapillary pipette tips allow positive-displacement accuracy and reproducibility using Pipetman®, Eppendorf, and most other single-channel air-displacement pipettors. Similarly, DecaFlex™ tips eliminate fluid retention and ensure total sample recovery with Eppendorf Ultra-Micro pipettors. RNase/DNase-free, MicroFlex™ and DecaFlex™ tips feature three styles of flexible, 33 mm long, 5 µL microcapillary tube sections with beveled ends. Provides precise control when loading vertical gel electrophoresis apparatus, aspirating supernatants away from pellets, utilizing expensive reagents, and other discrete sampling applications. 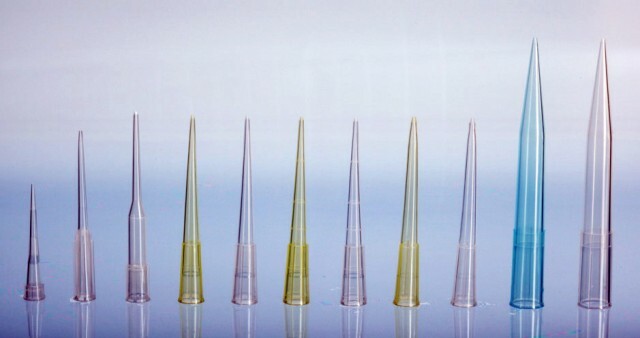 Round-shaft tip with 0.57 mm OD tube end, greatly improves loading techniques for 0.75, 1.0 and 1.5 mm PAGE gels. Intermediate 0.37 mm OD flat tip is ideal for loading 0.4 mm sequencing gels while ultra-thin 0.17 mm OD flat tip is perfect for loading 0.2 mm wedge-spacer gels. Flat or round shaft styles allow tips to be fully inserted, enabling wells to be filled equally from the bottom up, thus providing a uniform environment for electrophoresis. Non-autoclavable MicroFlex™ and DecaFlex™ tips are offered in MaxiRack™ packs of 200 tips, or in radiation sterilized RadPacks™. RNase-free, green SlickTips™ incorporate standard UniFit™ design features. 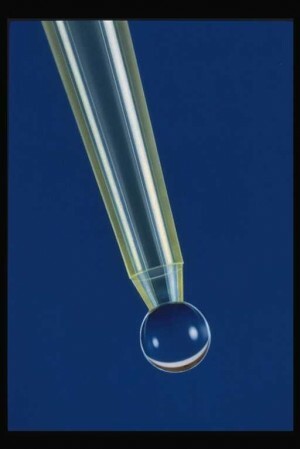 Lubricated, 0.1-10 µL, 1-200 µL, 1-300 µL and 1,000 µL pipette tips are ideal for membrane fraction transfers, radioactive labeling, and other recombinant DNA procedures requiring a low adhesion surface. Available in clean or sterile MiniRack and MiniStack Packs of 96 tips. Ideal for use with SlickSeal™ pre-lubricated MicroCentrifuge Tubes. Exclusive Zero-Fluid-Retention resin technology means no droplets left behind in the tip when pipetting. 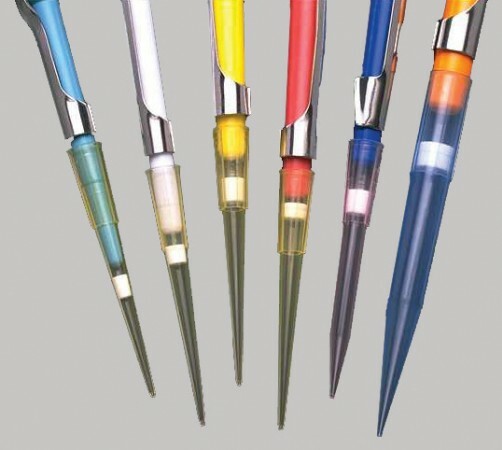 UniFit™ ZFR™ universal-fit pipette tips accommodate all single and multi-channel pipettors, including UniPette™, Pipetman®, Eppendorf, Biohit, BrandTech, Capp®, HTL/Labnet-Axygen®/VWR®, Jencons, Nichiryo/Oxford®, Socorex/Wheaton, and ThermoFisher/LabSystems. Small size tips also fit Finnpipette®, MLA™, and VistaLab™ pipettors. Racked UniFit™ tips are also available radiation sterilized. Contact your sales representative or visit therapak.com for more details on various packaging options. Most UniFit™ ZFR™ Tips are also available as pre-lubricated SlickTips™. Same great UniFit™ Zero-Fluid-Retention Tips and Pre-Lubricated SlickTips™ in environmentally friendly packaging. Both small 200 µL and large 1,000 µL universal-fit pipet tips are available in a MiniStack pack designed to save space in shipping, storage, and on the lab bench. Stackable trays also require much less plastic than our industry standard packs of ten complete MiniRacks with bases and lids. 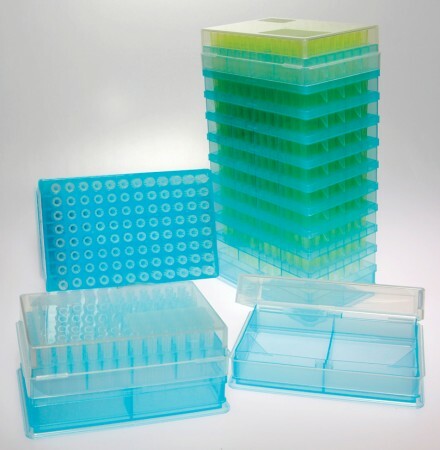 Fully autoclavable MiniStacks employ a MiniRack and four stacking trays each supporting 96 UniFit™ pipette tips which nest into tips in tray below. A single base plate and lid protect tips from contamination. Lid may be moved from one tray to the next as the 480 tips per MiniStack are used. New, wider base design employs microtiter plate size and format which ensures standardization for automated workstations. 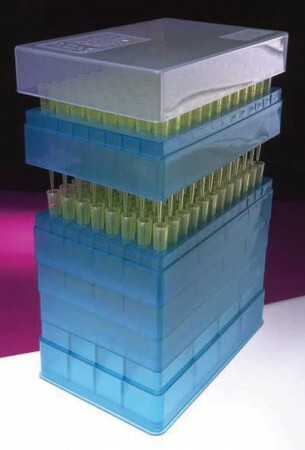 Larger footprint eliminates problem of tall stacks tipping over, even when using a multi-channel pipettor on an outer row of tips in the top tray. While all UniFit™ pipette tips are always made from 100% virgin polypropylene, the entire MiniStack rack is made from 100% recycled material. Similar in concept to our popular MiniStacks, new ReloadStacks™ utilize the same Trays of 96 Tips with a completely different Base and Lid. Instead of the traditional MiniRack Base and Lift-Off Lid, ReloadStacks™ are fitted with an open BoxBase and a unique HingedLid. By mounting each consecutive Tray onto an open BoxBase, the lab tech creates their own MiniRack as needed. By slipping the rectangular plastic LidRing over the top of any one of the Trays, their MiniRack is fitted with a folding Lid. When a Tray of 96 Tips is empty, pull off the HingedLid, unsnap the Tray from its BoxBase, and mount the next Tray onto the same Base. Slip the LidRing over that Tray. StarterSets of extra BoxBases and HingedLids are included at no charge with initial orders. Patents Pending.